Cheslor Cuthbert is one of 11 pre-arbitration eligible Royals players who agreed to one-year contracts on Saturday. 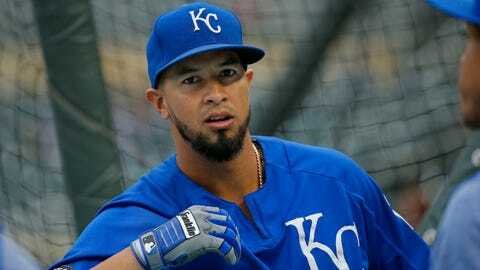 With spring training games underway and Opening Day quickly getting closer, the Kansas City Royals now have the entirety of their 40-man roster under contract for the 2018 season. The Royals announced Saturday that they have has agreed to terms on 2018 major league contracts with pitchers Miguel Almonte, Trevor Oaks and Eric Skoglund; catcher Cam Gallagher; infielders Cheslor Cuthbert, Adalberto Mondesi and Ramón Torres and outfielders Jorge Bonifacio, Billy Burns, Paulo Orlando and Bubba Starling. Financial terms were not disclosed. With this latest wave of signings, all members of the club’s 40-man roster are under contract for the 2018 season.